Our daughter, Haley, came home with another puppy. Want to see what we post on Facebook? Once you have "liked" the page, hold your mouse over the word "liked" and you will see a menu. Now, click on "get notifications". This will help you see our future posts ! Thank you.🌹 for the patterns and for your combination of crochet and religion. Congratulations to your niece. I am an RN also. I know she has to be amazing to graduate after the loss of her mother. Nursing is very hard and competitive. You're very welcome... and thank you so much. She is a very determined young lady. We are very proud of all she has accomplished. But now apart from the Law the righteousness of God has been manifested, being witnessed by the Law and the Prophets, even the righteousness of God through faith in Jesus Christ for all those who believe; for there is no distinction; for all have sinned and fall short of the glory of God, being justified as a gift by His grace through the redemption which is in Christ Jesus; whom God displayed publicly as a propitiation in His blood through faith. This was to demonstrate His righteousness, because in the forbearance of God He passed over the sins previously committed; for the demonstration, I say, of His rightoeusness at the present time, that He might be just and the justifier of the one who has faith in Jesus. For as many as are the works of the Law are under a curse; for it is written, "CURSED IS EVERYONE WHO DOES NOT ABIDE BY ALL THINGS WIRTTEN IN THE BOOK OF THE LAW, TO PERFORM THEM." Now that no one is justified by the Law before God is evident; for, "THE RIGHTEOUS MAN SHALL LIVE BY FAITH." However, the Law is not of faith; on the contrary, "HE WHO PRACTICES THEM SHALL LIVE BY THEM." Christ redeemed us from the curse of the Law, having become a curse for us -- for it is written, "CURSED IS EVERYONE WHO HANGS ON A TREE" -- in order that in Christ Jesus the blessing of Abraham might come to the Gentiles, so that we might receive the promise of the Spirit through faith. Blessed be the God and Father of our Lord Jesus Christ, who has blessed us with every spiritual blessing in the heavenly places in Christ, just as He chose us in Him before the foundation of the world, that we should be holy and blameless before Him. In love He predestined us to adoption as sons through Jesus Christ to Himself, according to the kind intention of His will, to the praise of the glory of His grace, which He freely bestowed on us in the Beloved. In Him we have redemption through His blood, the forgiveness of our trespasses, according to the riches of His grace, which He lavished upon us. In all wisdom and insight He made known to us the mystery of His will, according to His kind intention which He purposed in Him with the view to an administration suitable to the fulness of the times, that is, the summing up of all things in Christ, things in the heavens and things upon the earth. In Him also we have obtained an inheritance, having been predestined according to His purpose who works all things after the counsel of His will, to the end that we who were the first to hope in Christ should be to the praise of His glory. In Him, you also, after listening to the message of truth, the gospel of your salvation -- having also believed, you were sealed in Him with the Holy Spirit of promise, who is given as a peldge of our inheritance, with a view to the redemption of God's own possession, to the praise of His glory. And do not grieve the Holy Spirit of God, by whom you were sealed for the day of redemption. Let all bitterness and wrath and anger and clamor and slander be put away from you, along with all malice. And be kind to one another, tender hearted, forgiving each other, just as God in Christ also has forgiven you. And this is the confidence which we have before Him, that, if we ask anything according to His will, He hears us. And if we know that He hears us in whatever we ask, we know that we have the requests which we have asked from Him. which are written in it; for the time is near. With a slip knot on your hook, yarn over while holding the slip knot steady. 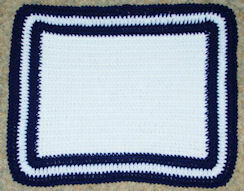 Insert hook into stitch, yarn over and pull a loop through. yarn over draw through last two loops. When you print patterns from the web... look for the printer friendly button on a page. This way you save ink and paper by only printing the necessary information. I have a question about pattern received in Nov. 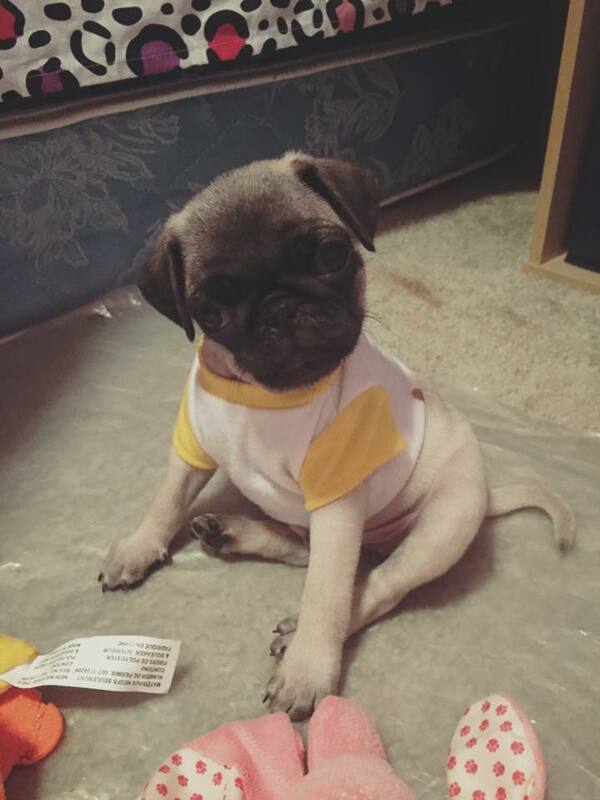 2014.--so cute. It is the cable headband. Can't figure out how to do the part where instruction says to work in front of the last 3 trs, Tr in ea sk st. It is one of your free patterns I downloaded and printed. For Row 2, make 3 chains and turn. 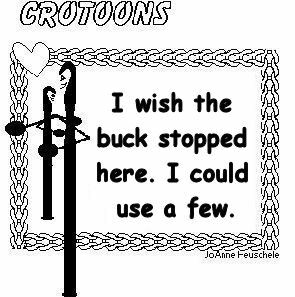 Work one double crochet in the next stitch. Skip the next 3 stitches. Work one treble in each of the next 3 stitches. Now you are going to back up and work into the three skipped stitches. While doing this you will work in front of the three stitches you already made... not over or around them. Double crochet in each of the last 2 stitches to finish the row. Can someone please help me? What does this mean in a crochet pattern? I would appreciate any understanding you can give me as I am a regular customer. 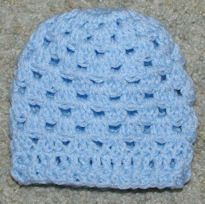 Some crochet patterns include instructions on how to make more than one size. When a series of numbers are enclosed in parentheses after an instruction, those numbers tell you what to do for each size listed. then work 1 single crochet in the next stitch. is a reference to how many times you do what is in the previous set of parentheses. The same rule is true for the subsequent instruction... work 1 double crochet into each of the next 5 chains for each of the first 3 sizes, then chain 3. I perfectly understand Round 3, but I am clueless on Round 4...exactly WHERE do these hdc's ngo? While I cannot be sure, it sounds like the designer wants you to work 2 half double crochet stitches in the next stitch... then one half double crochet in each of the next two stitches... then repeat that around. You should have a total of 40 stitches when you finish. I was wondering if you could show how to do a "1tr in next tr ". It's probably not hard but I'm new to reading crochet patterns. shows how to make a treble crochet into a foundation chain. 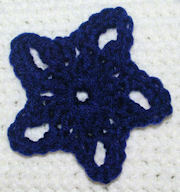 The stitch is worked the same way when made into a chain or into an actual crochet stitch like a treble. 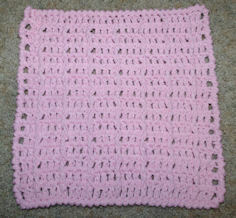 I'm loving this square and am trying to make it into a dishcloth. I was wondering how you fasten the alternate wool. The picture doesnt show it at the front - but is there some at the back?? Not sure what to do with the extra tail every time I change color. Please help as I want to make these. I carry the unused color along as I go, dropping it at the point where I will need it on the way back for the next row. Perfect border. Thank you so much for the great tutorial. Keep up the excellent work. Love this border. Thank you. 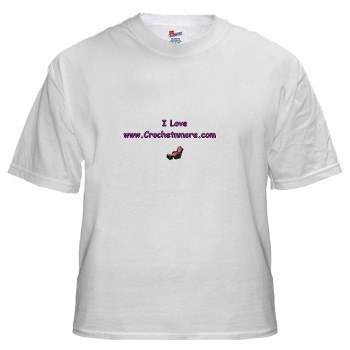 Thank you for taking the time to create your web site - - the BEST Crochet Web Site around !! The Bible and Gods Word are so pleasing and such a huge refreshing breath of new life. One cool afternoon I dropped by to see my grandchild. walk in her stroller and were just coming up the street. cold. You should have a hat on." I guess he thought he'd be sent home. to carry out your sentence, you will spend one week in jail. You may now sit down, professor." I was visiting my son and daughter-in-law last night and I asked if I could borrow a newspaper. "This is the 21st century, old man," he said. "We don't waste money on newspapers. Here, you can borrow my iPhone." I can tell you, that fly never knew what hit it! "I've just had the most awful time," said a boy to his friends. "Wow! How did you pull through?" sympathized his friends. "I don't know," the boy replied. "Toughest spelling test I ever had." one day to see if they could spot some bears. They wanted to take pictures of bears for their photo album. So they drove along an old dirt road until they entered the trees. As they rounded a curve, they spotted a sign that read, "BEAR LEFT." So they turned around and went home. A Sunday school teacher decided to have her young class memorize one of the most quoted passages in the Bible - Psalm 23. She gave the youngsters a month to learn the chapter. Little Rick was excited about the task - but he just couldn't remember the Psalm. After much practice, he could barely get past the first line. I couldn't find my luggage at the airport baggage area. there that my bags never showed up. me, "has your plane arrived yet?" and asked, "Would you like me to get you a high chair just in case?" congregation if anyone had something to thank God for. to thank God for my new hearing aid. Now I can hear you." He paused before adding with a smile, "When I want to." Betty was soon to be married. beaming with pride as she gave her consent. living room to wait while Betty tried on the dress. Tears ran down the face of Betty's mother. not losing a daughter, your gaining a son." "Forget about that!" she said with a sob. "I used to fit into that dress!" lawyer. I've decided to tell the truth." This was his first time approaching a field during the nighttime, and instead of making any official requests to the tower, he said, "Guess who?" The controller switched the field lights off and replied, "Guess where!"